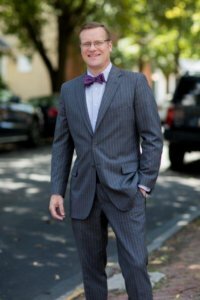 Chester County Pennsylvania based law firm MacElree Harvey is proud to announce that Tim Rayne has been recognized by Best Lawyers in his practice area of Personal Injury Law. With this honor Tim joins his fellow partners Mary Ann Rossi (Land Use and Zoning) and Hillary Moonay (Family Law) as other MacElree Harvey Best Lawyer designation recipients. To select its Best Lawyers an intricate review process is employed which involves Nomination, Peer Review and Analysis of Feedback. Recognition in Best Lawyers is based entirely on peer review. Our methodology is designed to capture, as accurately as possible, the consensus opinion of leading lawyers about the professional abilities of their colleagues within the same geographical area and legal practice area. 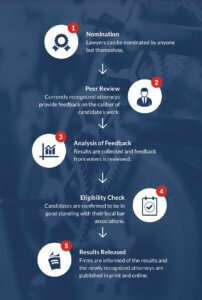 Best Lawyers employs a sophisticated, conscientious, rational and transparent survey process designed to elicit meaningful and substantive evaluations of the quality of legal services. Our belief has always been that the quality of a peer review survey is directly related to the quality of our voters. Inclusion as a Best Lawyer in 2017 is a great honor for Tim Rayne who has been named as a Pennsylvania Super Lawyer and Main Line Today Top Lawyer for several consecutive years. For over 20 years, Tim Rayne has focused his practice in helping injured accident victims receive fair treatment and compensation from insurance companies. Tim handles most Personal Injury cases including car, truck and motorcycle accidents, pedestrian injuries, slip and fall cases, dog bites and medical malpractice. Tim has offices in Kennett Square and West Chester Pennsylvania.